With his uneven, determined gait, Mavuso leads us to his father’s grave. He promised his father he would fight for the land and not allow his remains to be disturbed. Hidden in the rolling hills of Northern Kwazulu-Natal, Makhasaneni was considered worthless during Apartheid and relegated to the homeland of Kwazulu. But the people of Makhasaneni are not planning to go. They have the support of the headman, Induna Dludla – a wiry old man on the wrong side of 90, with a mind as sharp as a razor and the gravitas of the old guard. While his life has been threatened, he stands strong, not allowing his people to be moved. “I sleep like a rabbit, with one eye open”. "THIS LAND MEANS EVERYTHING TO US, WE ARE NOT AFRAID TO DIE"
The impact screening run of the documentary This LAND is off to a good start. Here screening with the Moreipuso Traditional Authority in Casteel, Bushbuckridge area. The audience are all land claimants in this area. This is part of a series of nationwide screenings this week to precede the public hearings. 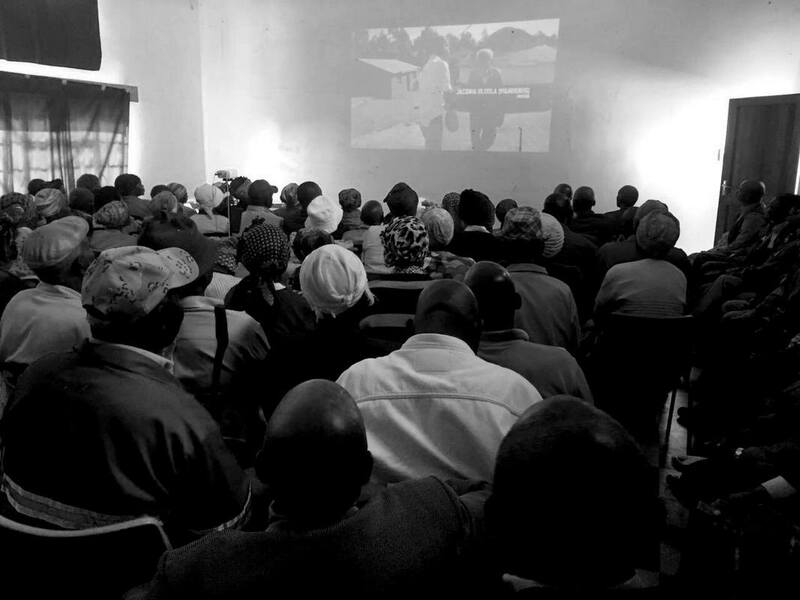 With the support of the Land Accountability Resource Unit (LARC) , Nelson Mandela Foundation and the Bertha Foundation , PLEXUS FILMS have partnered with Sunshine Cinema, using our mobile Sunbox units to ensure that there can be broad reach across the country. If you would like to arrange a screening in your community, please contact miki@plexusfilms.co.za or Nokwanda.sihlali@uct.ac.za.